I like to pick a drink based on the name. This is one of those drinks. Fortunately for me, it also tasted pretty good. Jen Fizz found The Western Rose Cocktail and we were lucky it was good. This one was pretty similar, so with that in mind, and a cool name, I decided to try it. If I make it again, I may use less vermouth than what it called for. I think The Western Rose Cocktail is better, but this one isn’t bad. I’m just curious how it got it’s name. 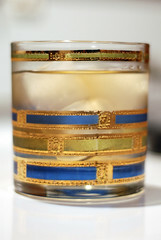 Stir in an old-fashioned glass with ice and drink up. Jen Fizz was exploring the drinks in our 1974 edition of Mr. Boston’s Deluxe Official Cocktail Guide when she came across the Crystal Slipper Cocktail. Since that was a success, she opened up the book and decided to make the first thing she saw that sounded good. And she found a winner; the Western Rose Cocktail is really nice. 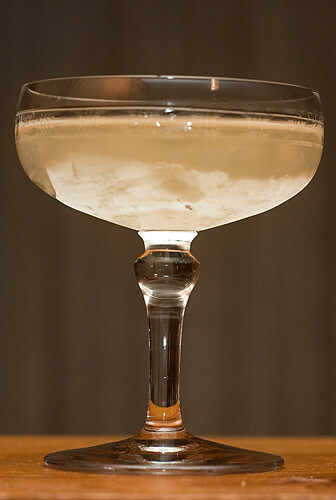 It is sort of like an apricot martini. After we drank the Western Rose, I found another drink on the same page that looked pretty good. It’s up next.